Dog bite compensation is a huge concern for the millions of people who are attacked every year in the United States. Although most attacks are not serious and the person is able to resume their normal life with little medical intervention, others are not so lucky. They are faced with massive medical expenses and ongoing treatments, may have PTSD or other psychologic symptoms, and often miss work or have the reduced capacity to work after the attack. For these people, dog bite verdicts & settlements are essential in allowing them to move forward after the attack and enable them to be free of the financial burden that the animal’s owner is legally liable for. If you need dog bite medical bill compensation or dog bite compensation for your other losses and damages, you deserve the full amount you’re lawfully entitled to. Pennsylvania’s laws are written so that dog bite award payments are almost always awarded to cover the costs of a victim’s treatments. However, victims with only minor injuries are typically limited to reparations for just their medical expenses, not any other bills or costs they have to manage as a result of the attack. The exception to this is when the animal that attacked has a history of aggression or has been labeled by the state as a “dangerous dog.” When a known dangerous dog attacks, victims may file for dog bite award payments that cover their other costs as well. Dog Bite Compensation: How Much Will I Receive? The state does not have any hard rules where dog bite award payments are clearly defined. The courts will consider the extent of the injuries, the costs that have accrued, the victim’s future expenses, and how all this will impact the victim’s life. In order to get a clearer picture of what your dog bite award payments may include, you’ll need to speak to an attorney who routinely handles dog bite cases and can assess the specifics of your situation. 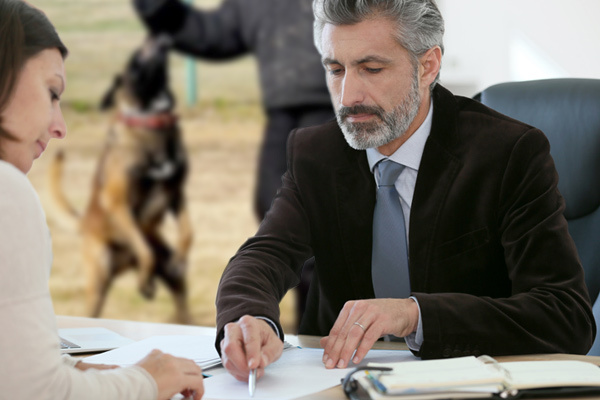 If you need dog bite compensation in order to move on with your life and recover from your attack, contact one of the professionals listed on Philadelphia Dog Bite Lawyer. Each attorney featured here has the experience and dedication needed to help you win a fair settlement. Review the profiles and contact those you prefer for your free case evaluation today.